Last week we had our second BIGOSA conference in Johannesburg. It was attended by about 45 breast specialists: the majority were from South Africa. Our guest was Prof David Cameron from Edinburgh. He gave 2 talks. 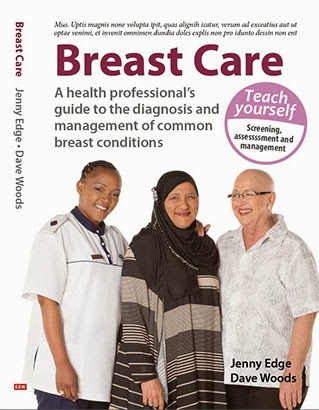 The first was on the controversial issue of breast cancer screening in the UK. He was one of the contributors to the Marmot report and discussed the pros and cons of a mass screening programme. The report is summarised in the Lancet. If 10 000 women, in the UK, between the age of 50-70 are screened for 20 years 43 cancer deaths will be prevented but 129 women will get treated for a cancer that would not have killed them: they would have died of something else first. Simply put, one cancer death will be prevented for every 3 women who are treated for a screen detected breast cancer. His second talk looked at the cost of new cancer drugs. He posed the question "Can we afford to use new (expensive) drugs to treat breast cancer? Can we afford not to use them?" His talk highlighted the cost to society of a women with breast cancer. It is a cost that government forgets when they are deciding on health policy. The conference is a mixture of invited speakers and specialists talking about their research. There is a prize for the best paper and that was won by Dr Murugan from Chris Hani Baragwanath Hospital. Her paper was entitled: "Can breast cancer in our public sector be downstaged in the pre screening era. Experiences from CHB hospital" Congratulations to the breast team at CHBH for their excellent presentations.